Advanced Air Services understands the quality of your indoor air is vital to health and the well-being within your home. Whether it’s at your work or at home, it’s a safe bet that you are spending a majority of your time indoors (most people currently spend as much as 90% of their time indoors). So, whether you aredoing house chores, working, sleeping, watching TV or reading a book — when you’re inside of your home, you’re breathing in the air indoors too! That’s why good indoor air quality is so vital, for it doesn’t just help provide a comfortable environment, but it provides a safe environment as well! We are looking forward to serving you and hopefully making you a customer for life!!! Ready to schedule your Indoor Air Quality services for your home? Give us a call at 717-762-8800 schedule your service. Air cleaners trap dust and remove allergens from the air. With an air purifier you can improve your quality of life improving your indoor air quality. If you or your family member suffers from allergies, asthma, or other respiratory conditions, having an air purifier can be an important part of your treatment program. Air purifiers can eliminate dangerous contaminants in the air from your home. They can work to neutralize odors as well. Advanced Air Service technician can assist with the right air purifier for your home’s comfort. 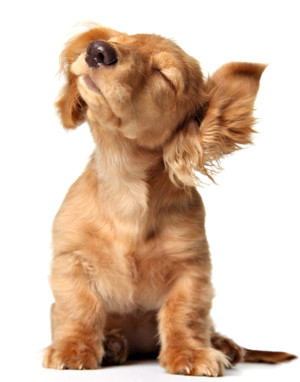 Air cleaners are designed to trap dust and remove allergens from the air. In doing so they help to minimize potential allergy triggers to protect the health of your home. An air filter helps your heating and cooling system do its job, keep your system running efficiently and protects it so it will last longer. When you air filter are clogged your HVAC system has to work extra hard to get any conditioned are into your home. The right air cleaners and filters will help reduce the effects of dust, allergens, pollen, pet dander, bacteria, mold and more pollutants. Our experienced HVAC technician will assist homeowner with a air cleaner/filter for your home. Most people usually don’t think about humidity except when it is an extremely hot and muggy day. Although, the humidity levels throughout your home can play an important part in maintaining the optimum air quality for you and your family. The amount of humidity in your home matters. Whether it’s too much humidity which can be very uncomfortable or too little humidity which can affect your skin and breathing patterns. Dry air can lead to cracked skin, dry hair, bloody noses, breathing issues and other issues – that’s why whole house humidifiers with your HVAC system are very beneficial. The furniture, floors, and walls of your home need a moderate amount of humidity to prevent cracking and warping, as well. Especially during the cold, dry environments during the winter months. Humidifiers work by increasing the moisture levels in the air by releasing vapor or steam. Which can regulate the amount of moisture in your home’s air to keep you healthy and comfortable! Like UVLite, they can be installed on the central HVAC system to offer your whole house humidification. Humidifiers can help relieve cold-like symptoms, they tend to retain heat better - so you do not have to waste unnecessary money on heating bills. If you find that the air in your home is very dry in the colder months, a humidifier could be the solution you and your home need! Dehumidifiers during the warm and humid summer months can help you breathe easier, many people find the humid air is heavy and more difficult to breathe in. Hot temperatures and humidity can increase the levels of indoor air pollutants. So, controlling mold with a whole house dehumidifier can help reduce allergy-causing mold and mildew. Is beneficial to people who have problems with allergies or asthma. When used in conjunction with your central heating and air system, whole-house dehumidifiers remove excess moisture from your homes air, improving your indoor air quality.Therefore, a whole house dehumidifier can make quick work of these problems, allowing you optimal health (breathe easier), spend less time cleaning, and potentially help save money on energy bills. UV Lights can be installed directly into the central air system - control microbes and odors as the system works, bringing healthier air into your home.UV Lights are smart edition to a home’s HVAC system. Some Key Benefits they provide: Healthier air – UV lights can decrease indoor-air pollution levels significantly by killing off millions of bacteria, viruses, and allergens. Many the microorganisms that cause respiratory problems. 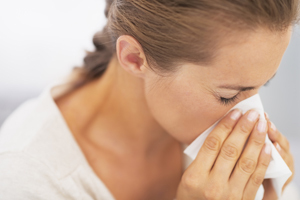 You may notice a smell when turn on your air conditioner or furnace for the first time each season - smell may be a buildup of microorganisms in your HVAC system and/or ductwork, sign of poor indoor air quality in your home. Installing a germicidal UV light can improve your home’s indoor air quality. The UV lights are a natural disinfectant because they penetrate the membranes of microorganisms and render them harmless. Improved efficiency and longer life for your HVAC system – Germicidal UV lights can also help extend the life of your home’s heating and cooling systems, since the clean air reduces the work load on an HVAC system, also helps save energy. Carbon monoxide is called the "Invisible Killer" because it's a colorless, odorless, poisonous gasthat's produced during incomplete combustion of any fuel like natural gas, charcoal, gasoline, kerosene, wood, gas, oil or coal. Causing people in the Unites States to die every year from accidental non-fire related CO poisoning. It’s easy to keep your family safe and healthy with a carbon monoxide detector. Our Advanced Air Services Technician can install your home with carbon monoxide detectors. Make sure you check your current carbon monoxide detectors are working correctly.